The Dul’ Buhar are the deadliest of warriors, gifted with extraordinary skills through the dark magic of their Sorcerer King, and Akiri is the mightiest of them all. Yet even his immense talents will be tested beyond the point of breaking as everything he believes in is ripped apart by his sovereign’s insatiable hunger for conquest and death. 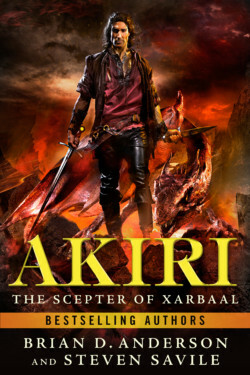 Akiri was born into war, his childhood shaped by battle and betrayal. He knows it is his fate to die by the sword. He is a warrior. Warriors die. It is what they do. But he will not go without a fight. In his first breathtaking adventure Akiri must outwit shape-shifting creatures bent on devouring his soul.